Getting the plant fever in Monteverde! I recently visited the magical region of Monteverde, in Guanacaste province. There is probably no better place to enjoy the grandeur and dignity of plant evolution. 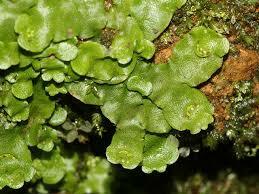 From the tiny and featureless liverwort, which is so primitive it seems to be present only as a green smudge with no discernible features; up to the mighty angiosperms which dominate the canopy layer. I took a nature hike through the salvanatura park, where 5 giant suspension bridges allow the visitor to inspect the canopy layer at the 100ft level. 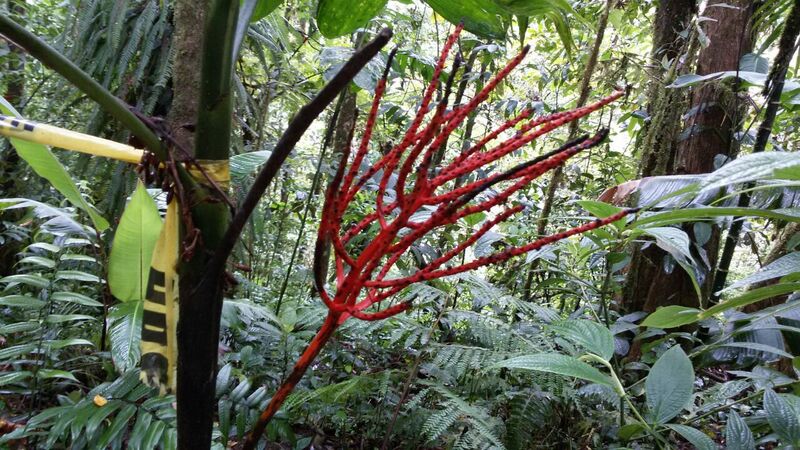 A dazzling array of bromeliads and orchids are on display, these little plants don’t do any work at all to reach such great heights, they merely catch a ride on a giant angiosperm. This method of growing on top of other plants, earns them the label of ‘epiphytes’. Down on the forest floor I find myself sniffing around for bryophytes, another kind of nonvascular plant (non vascular means they don’t have any vessels for carrying around water or nutrients in their bodies; if you could imagine a person with no arteries or veins that’s like a bryophyte). 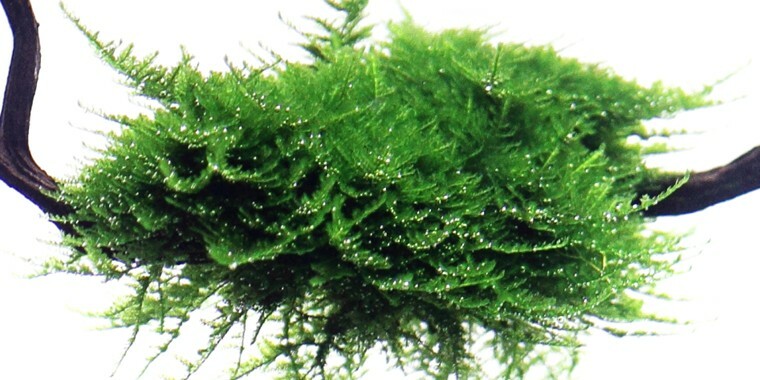 Another name for bryophytes is mosses, or musgo in spanish. 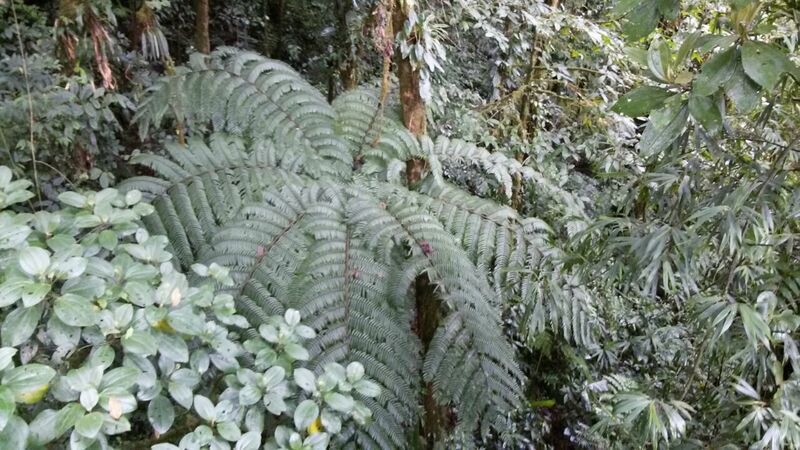 Ferns look beautiful, and in monteverde they grow as big as small trees; called fern trees. 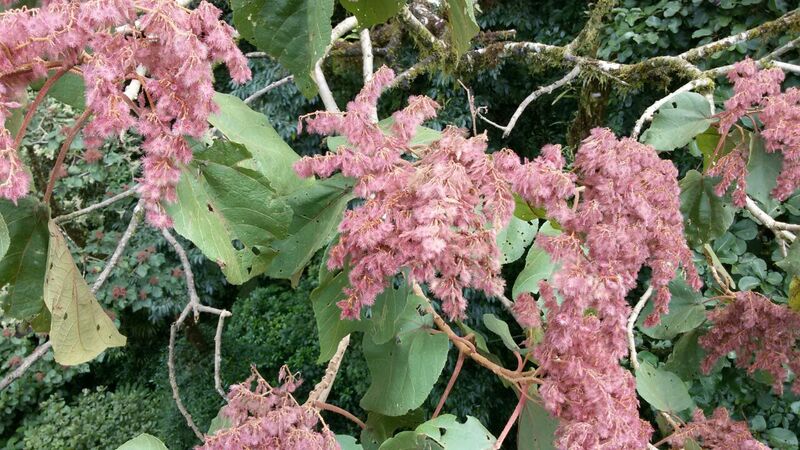 It is interesting to note that they are ‘non-woody’ and actually are much softer than ‘real trees’. Climbing back up to the dizzying heights of the tree-tops again, we can see that apart from the cheeky ‘epiphytes’ the world seems to be ruled by giant angiosperms that reproduce using flowers and fruits. There is even an emerald toucan gobbling up some of them, and we stop to watch. One group of plants that seems to be missing here is coniferophytes. These trees have needle-like leaves and pine cones, and their wood is aromatic and amongst the most beautiful in the known world. Christmas trees are coniferophytes. There doesn’t seem to be any of this group here, at least not in this part of the park. I wonder if they do a christmas bryophyte with a fairy on top in December? At least it wouldn’t take up much room!